Millions of Americans suffer from missing teeth. One of the absolute best methods to replace a missing tooth is with a procedure called dental implants. 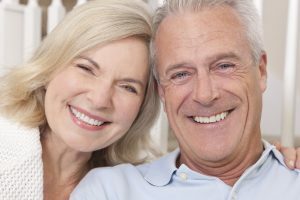 Monrovia patients get a wide variety of benefits with dental implants over other options like bridges and dentures. While dental implants are a terrific way to restore your teeth, patients who smoke may be at a greater risk for several problems that patients who do not smoke do not encounter. In this blog post we’ll look at the benefits of dental implants but we’ll also look at how smoking can impact your dental implants. Monrovia patients that are missing one or more teeth should call Dr. Q today at (626) 599-9819 to learn more about implants. Dr. Q has been providing dental implant treatment for over a decade and has helped many of our patients restore their beautiful, full, and confident smile. One top of dental implants, Dr. Q also offers a wide range of other treatments including Invisalign, crowns, veneers, teeth whitening and more. We would love to help you get the smile of your dreams. Monrovia patients that smoke are at risk of a variety of oral ailments including gum disease and oral cancer. However, when it comes to dental implants, there are more specific risks. In particular, studies have shown that dental implants are more likely to fail with smokers. Here are a few reasons why that is. Infection – One of the biggest concerns after the dental implant procedure is making sure the implants heal properly. Smoking constricts the blood vessels in the mouth, slowing down the healing process and leaves the patient more vulnerable to infection. Dry mouth – Another issue with smoking is that it can block the salivary glands. Your saliva is one of your first lines of defense against harmful bacteria in your mouth. These destructive bacteria cause bad breath and also cavities. Without sufficient saliva, the chance for infection after dental implants increases. Bone loss – A more long-term risk is bone loss. Studies have shown that smoking also increases the rate of bone loss around the implants. This can lead to a loss of the implant stability in the bone. Monrovia patients that are missing teeth often tell us that they sometimes avoid spending time with friends and family because of their missing teeth. With dental implants, not only restore your full smile with nearly indistinguishable replacements, but you can also chew foods just like you did before. Dr. Q is one of the most talented and “in demand” dentists in the region because of her experience and because of how gentle and compassionate she is. We know that many patients have anxiety about coming to the dentist which is why we offer a wide variety of sedation dentistry options. We want you to be comfortable at all times in our offices. Give us a call today at (626) 599-9819 and make sure you read through some of our patient reviews on our Reviews page to get an idea of the premier experience you can expect with Dr. Q.